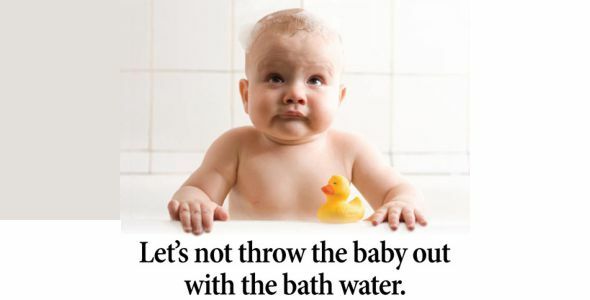 Former long-time CPSCer and agency executive director Patsy Semple used to regularly remind the staff to “not throw the baby out with the bathwater.” In other words, do not, through excessive zeal, eliminate the good while working to eliminate the bad. Patsy’s admonishment came to mind when, earlier this week, I read an excellent article by Lee Bishop, a very well-respected practitioner, in the Product Safety Letter. Here is a link to the article. As one seasoned CPSC staffer told me at a recent event, the focus of the agency is more on finding violations and seeking penalties than on trying to work with product sellers to solve safety problems. This is a short-sighted approach that ignores the fact that product safety can best be achieved when regulators and product sellers work collaboratively to address problems. It is time for the agency to start paying more attention to the baby and less to the bathwater.